Municipalities are underperforming: Traditional Affairs MEC - SABC News - Breaking news, special reports, world, business, sport coverage of all South African current events. Africa's news leader. KwaZulu-Natal Co-operative and Traditional Affairs MEC Nomusa Dube-Ncube has encouraged municipalities to use technology to improve service delivery. 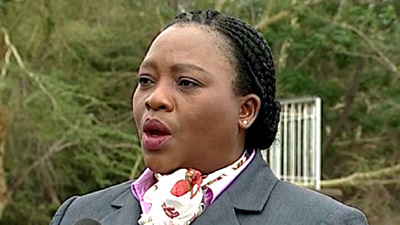 KwaZulu-Natal Co-operative and Traditional Affairs MEC Nomusa Dube-Ncube says judging by the number of service delivery protests in South Africa, municipalities are underperforming. She was delivering the keynote address at the annual South African Local Government Association’s Assest Management Indaba in Durban. The three-day Indaba which started on Monday brings together local government leaders from across the country. Its aim is to find efficient ways of managing current infrastructure in order to deliver services to the public. Dube-Ncube has encouraged municipalities to use technology to improve service delivery. “Technology should be part of ensuring that when there are these disruptions that happen, we are ready … but also we do have tools, as municipalities, that can replace some, if these disruptions that happen. I really would love us to think very seriously about how we can use technology in improving service delivery,” says Ncube. This entry was posted on 18 Mar 2019,05:00PM at 5:00 PM and is filed under South Africa. You can follow any responses to this entry through the RSS 2.0 feed. Both comments and pings are currently closed.